preparing us & more importantly, for believing that we could do it!!! 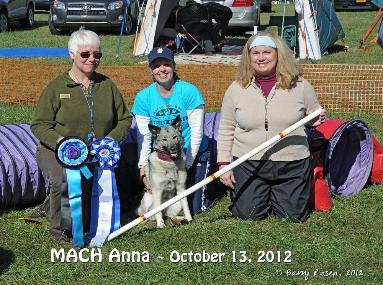 Update February 2013 Lisa and Anna are now MACH ADCH Anna!! correctly, and who changed my life forever." presented a challenge that he was not prepared for. training dogs, that is true, but her true gift is teaching people. Thanks to you, Ann, the Borga family has been on one wonderful ride.